Ian Gillman Smith works as an Expert Witness with respect to mental capacity and mental health proceedings, community care provision, Fair Access to Care Services, medical negligence claims and criminal proceedings. Ian Gillman Smith has been practising as an Independent Social Worker since 1999 preparing Independent reports for Mental Health Review Tribunals. Ian Gillman Smith teaches Personal Construct Psychology and its application to psychotherapeutic and counselling approaches. Ian Gillman Smith teaches and runs workshops for professionals such as mental health solicitors and social workers with regard to mental health law and practice. Professional supervision for qualified and trainee health and social care professionals. Ian works as an Expert Witness & Independent Social Worker with respect to mental capacity and mental health proceedings, community care provision, issues relating to Fair Access to Care Services, medical negligence claims and criminal proceedings. Ian teaches in a number of forums with respect to Personal Construct Psychology and its application to psychotherapeutic and counselling approaches. Ian runs workshops and courses for professionals providing training in specialist areas of mental health and mental capacity. Professional supervision for qualified psychotherapy practitioners, psychotherapists in training, Clinical Psychologists, Clinical Psychologists in Training and other health and social care professionals. Ian has worked in mental health and social care for the last twenty-three years. He has a breadth and depth of experience, both as a highly experienced social work practitioner and psychotherapist, offering a professional and bespoke service to all clients. Ian's first degree is in Psychology and Biology from the University of Keele, graduating in 1989. He studied for an MSc at the London School of Economics in Social Policy and Social Work Studies leading to a qualification as a Social Work Practitioner in 1992. He has completed advanced psychotherapy training in Personal Construct Psychology and is the current Chair for the Personal Construct Psychology Association, which is the registered Member Organisation of the United Kingdom Council for Psychotherapy. Independent Social Work Consultant and Expert Witness taking instructions from solicitors who specialise in mental health, mental capacity and human rights law. Work is undertaken throughout the UK. Ian has a private psychotherapy practice in North London. He teaches in a variety of educational settings both in psychotherapy and social work. Ian is a Registered Social Worker with the Health and Care Professions Council (HCPC) and the British Association of Social Workers. Ian has worked for eleven years as a manager and psychotherapist in a North London NHS Mental Health Trust delivering psychological services to clients with severe and complex mental health needs. Ian provides supervision to mental health professionals. Ian Gillman-Smith, BSc(Hons), MSc(Econs), CQSW, RSW, MBASW, UKCP regd. Psychotherapist. 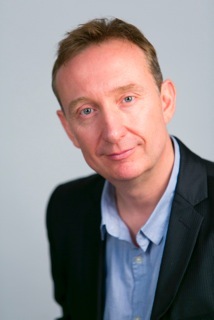 Ian is an experienced psychotherapist who will work with clients with a range of presentations. Ian's work as an independent social worker and expert witness is carried out across the UK.